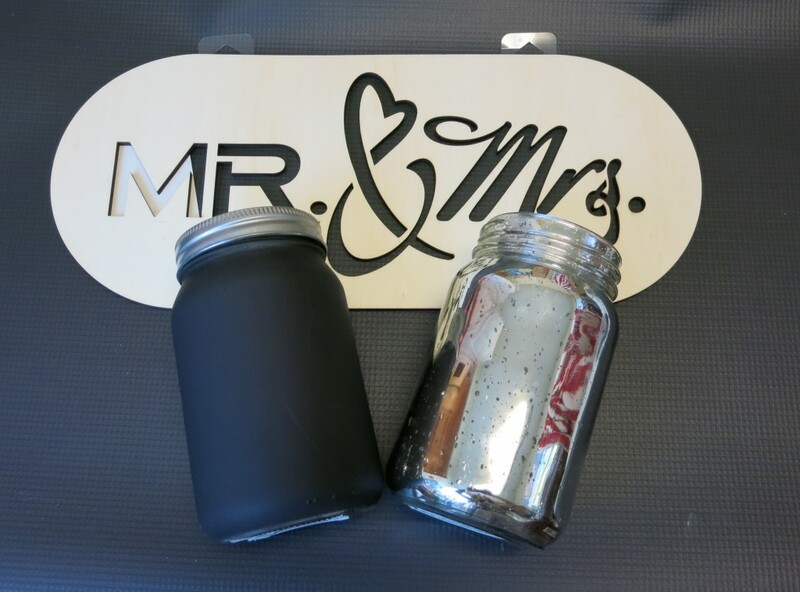 Make a unique guestbook by creating a mason jar bride and groom. 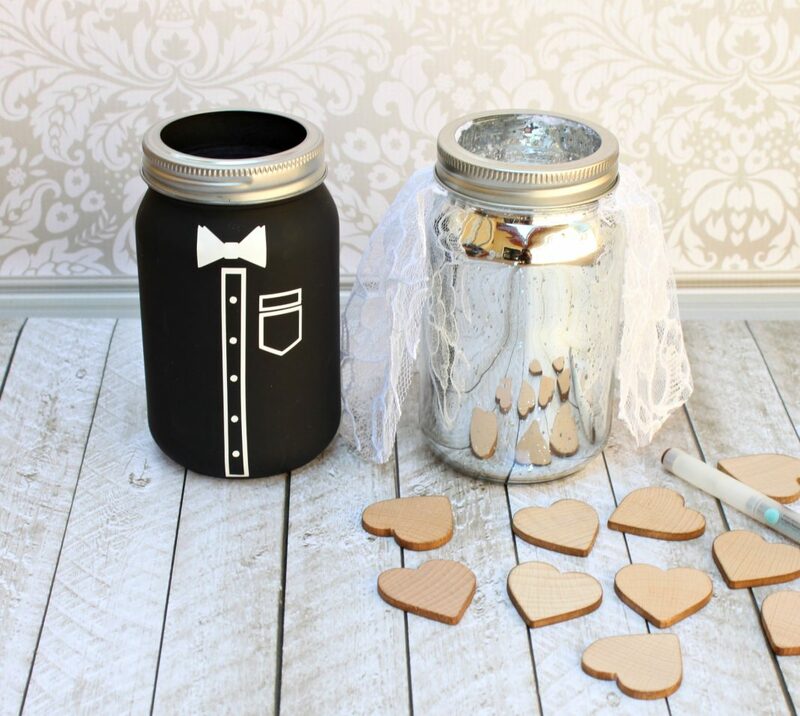 Guests will sign and drop wood hearts into the jars! Free file with tutorial. If I could “re-do” my wedding all over again, I’d definitely craft more of it! We did make some things for our wedding, but I didn’t craft as much then as I do now. 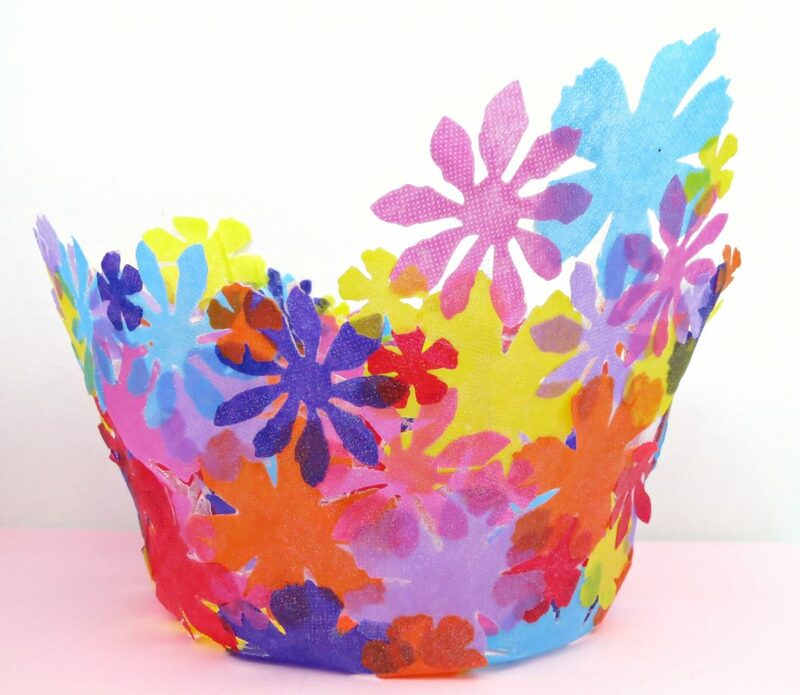 What’s so great about crafting for your wedding? You get to add your own custom touches to your celebration! It’s a great way to make each celebration uniquely you. 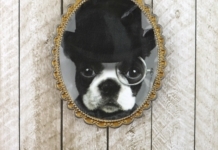 With that in mind, here’s a fun twist on the traditional wedding guest book. 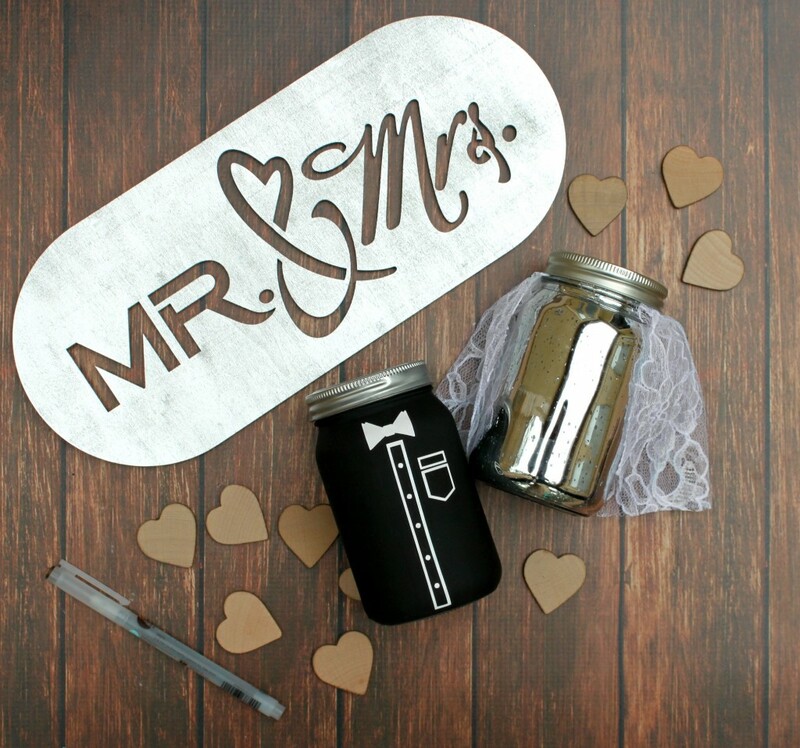 Use “bride and groom” mason jars with wood hearts that your guests can sign and drop in the jar!